Preheat your oven to 450 degrees F. Halve each avocado lengthwise and take out the pit. 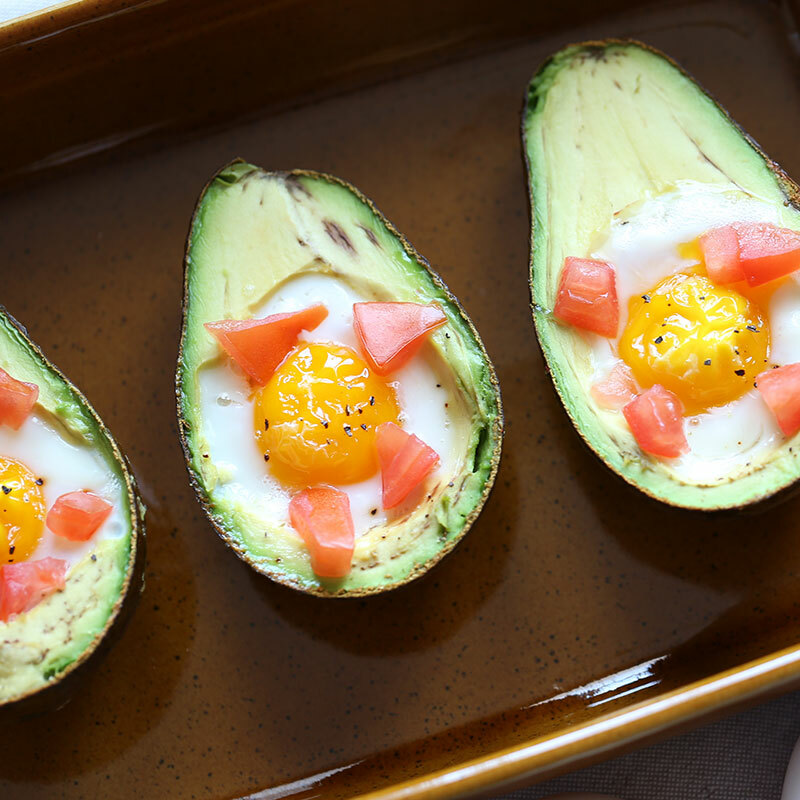 Scoop out the avocado so the hole matches the size of your eggs to avoid any spillage. Crack an egg into each half of the avocado, resting the edge of the avocado on the side of the cookie sheet to keep it stable. Place in the oven for 10 – 15 minutes; adjust based on how you like your eggs cooked. Add salt and pepper to taste, garnish with tomatoes and cheese if you like!.